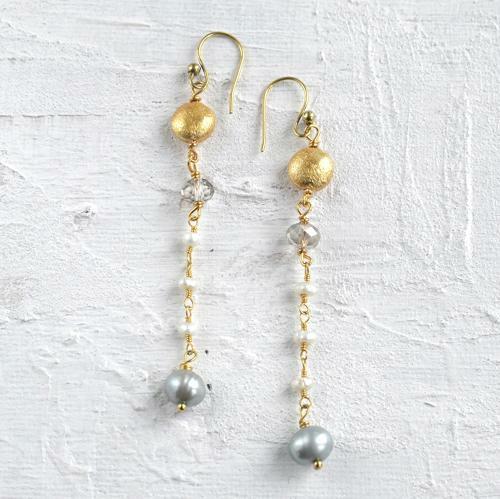 Gorgeous drop earrings with freshwater pearls, crystals, gold plated nuggets and earring wires. Length 4cms. Designed and handmade in the UK.